Patchy Work of Mini Grey: A February Finish! 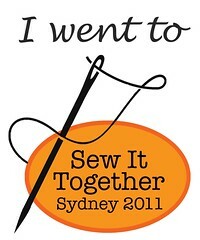 I'm going back to my real life quilting group this year. First gathering of the year was yesterday and I took along this to finish. All I had to do was sew down the binding, join it up and then iron it over and pin in place. A little 20 minute job. So it was done and sewed the binding down by hand last night while watching the very unsettling The Impossible. 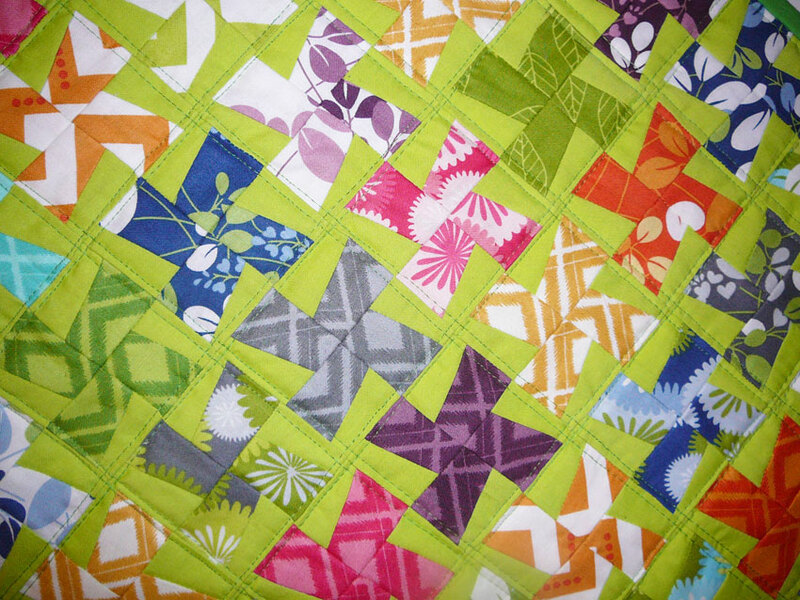 I quilted this simply in a grid pattern. It's on our table now. Daz is very ho hum about it, said it is "very Nannaish!" Hmph! Onto the next runner then! I love it! I've been wanting to make this block design for ages so this is just the inspiration I need! I think it's fun! Colorful, at least which always brings smiles......and isn't that what life is all about??? I like it. 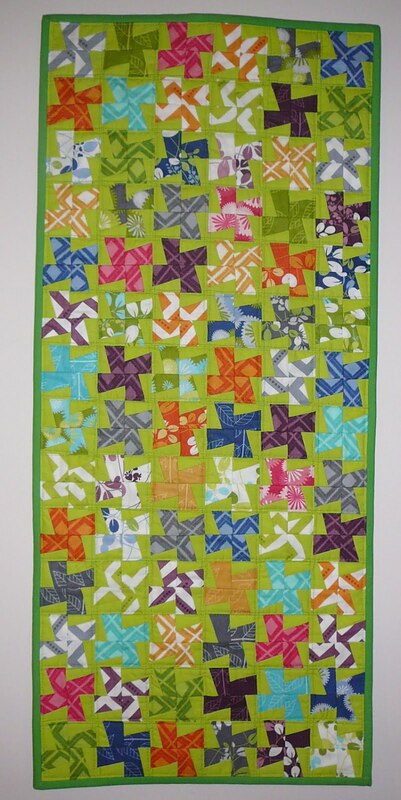 It looks like bright pinwheels in a meadow filled with spring grass. It is HAPPY! Men! I happen to think your cheerful new runner is anything but Nanaish!